Have you heard of Honey Bee Stamps? They have some of the CUTEST images for card makers. Last November I bought two sets, but I wasn't able to use either until now. Christmas card posts filled my blog as you know! The typewriter is from the Just My Type stamp set. 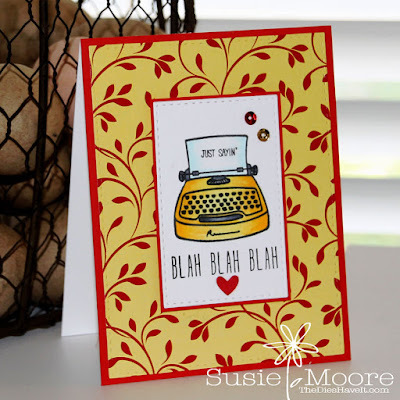 The little typed saying is from the Just Sayin' stamp set. This set has so many cute tiny sentiments as well as happy and sad faces and talk bubbles too! It is just an adorable set! Both sets are small so the price point is excellent if you just want to test out their stamp line. I used Copic markers for my coloring. 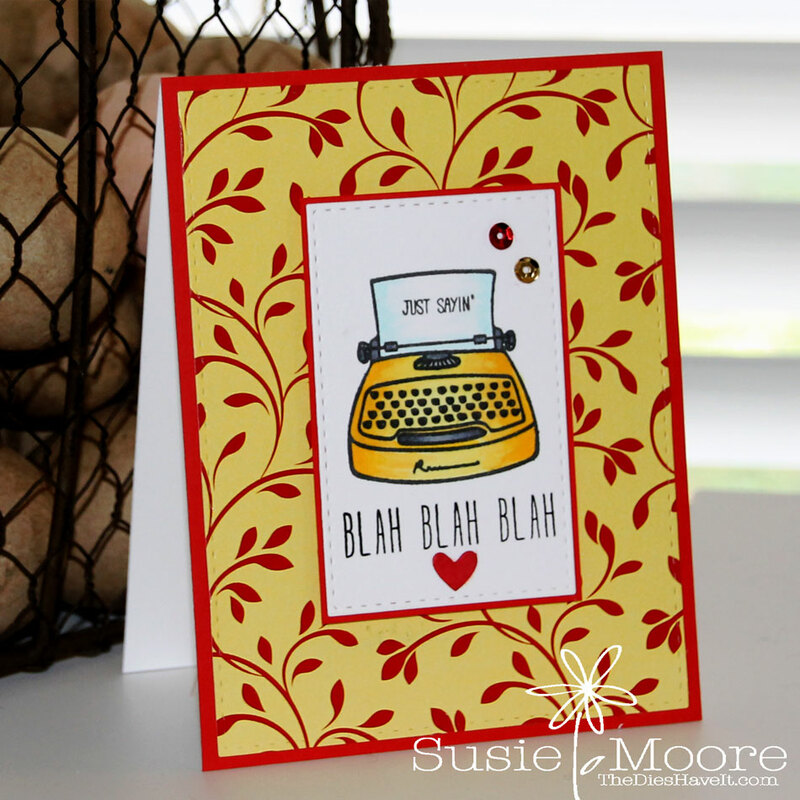 And the BLAH BLAH BLAH sentiment is from this set available at Ellen Hutson. I reach for this one often because it has some great sentiments. I used some papers from Gina K. Designs too. I love the little 6x6 paper packs. This one is from the Watercolor Garden pack. I also used Red Hot heavy weight base card stock which is tremendous!